Thornton’s leadership team were delighted to hit an important milestone on Thursday 4th Feb, with the investiture into Scouts of the first of our Beavers since the section re-launched 4 years ago. 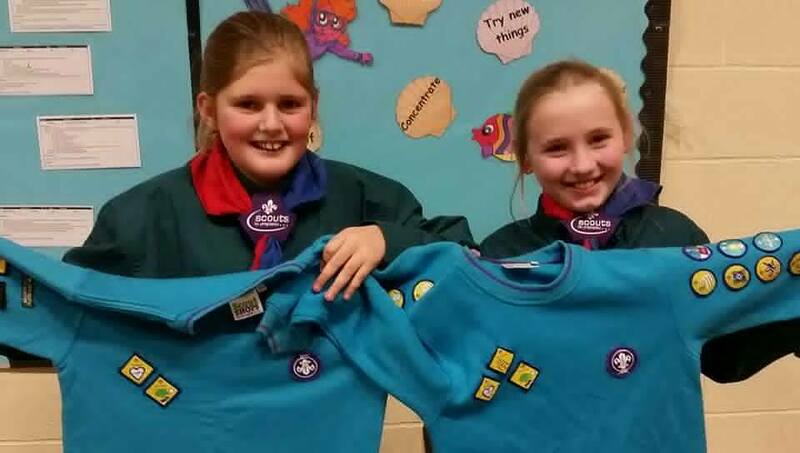 10 year old’s Maisie and Willow joined the newly formed Beaver Colony back in 2012, and having transitioned through Cubs made the next step in their journey through the Scout Movement. Having recently returned Census number of 68 Youth Members within the group, the group are seeing the results of the fantastic work by our Beaver and Cub leaders which continue to feed the older sections with healthy retention rates – a sign of a fantastic job by our colleagues. Well done all!